I was always a horse crazy little girl. Growing up in the village of Proctor, the youngest of 4 children, made it difficult for my parents to share my passion. We all had to settle for trips to a local stable for occasional trail rides. 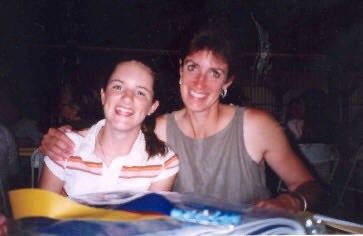 I attended horse camp at Catherine Capers, and I became involved in horse 4-H without owning a horse. People were kind enough to lend me one here and there, for different events. Finally I convinced my parents that this was no passing fancy. My 4-H leader boarded horses, so that hurdle was easy. I had to promise I would do everything else. Most of my associations were with Appaloosas, so that's what I set out to find. That first horse was a 4yr. 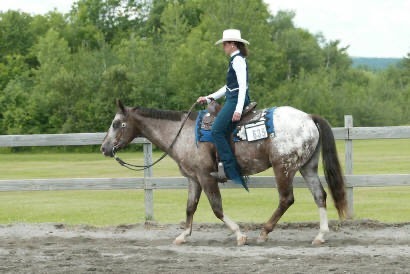 old Appaloosa/Arabian gelding. Star and I both had a lot to learn! It was a month before I could even get good at catching him in the pasture, but he was mine. I like to do anything with horses, so Star and I did everything. Horse showing was a part of the barn's activities, so naturally that became part of our focus. We began by attending all the local shows and the Vermont State Fair. We were among the first group of 4-Hers to bring horses onto the fair grounds for display and exhibition during the fair. We continued to practice and learn under the expert tutelage of Kim Abrahamson Moore (who along with her husband, Dave, are now very successful trainers in Florida). 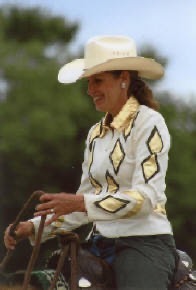 Our repertoire consisted of: Showmanship, Western Equitation and Pleasure, Hunt Seat Equitation and Pleasure, Jumping, Western Riding and Reining, and Trail. 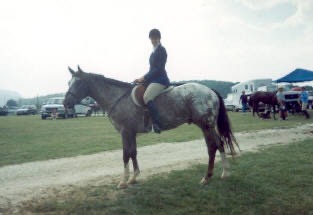 We dabbled in Competitive Trail Riding and 3-Phase Eventing. Star did not enjoy Gymkhanas, so I had to borrow a horse for participation in those. I went on to successfully represent VT, as a 4-Her, at Eastern States for 2 years. We went on in search of more competition by way of breed shows, traveling New England, Ohio, New York, New Jersey, and Canada. Youth Team competitions were a popular event of which I was first a participant and then later, the coach. 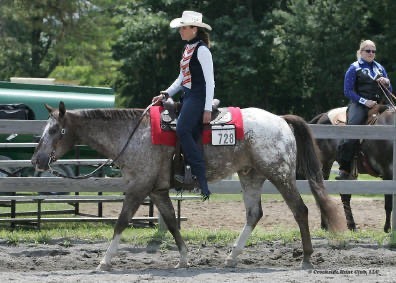 My 30+ years of varied background has allowed me to become a well-rounded equestrian, learning what's involved in every discipline and the crossovers. It also fueled my interest in judging, which I ahve done for 25+ years. One of my most honored judging assignments was as a Fitting Judge at Eastern States. From my judges prospective, I know I have much to offer students as I see the lack of preparation and weaknesses in the show ring. I believe in being a fife long learner, so I am always eager for opportunities of professional development. I encourage my students to ask questions, there is no question that is silly. Students need to understand the why and how, to implement the skills we discuss and cover, we are there for the student. I feel my specialty is in the Western events and polishing the exhibitor for the show ring environment. Our herd was now at 3 horses and with a foal on the way, we needed our own place. We moved to Hubbardton in 1982, and purchased our 10 acres. WE physically built our own barn, fences, and house over the next few years. That first colt ewnt on to win 2 weanling futurities in NJ and NH, then was sold. We have had 5 foals born at our farm, all appaloosas, and have had 3 generations in the barn, at one time. These foals have been very successful in either halter and/ or pleasure futurities throughout the years. We have also consistenly won year-end awards in many different organizations and qualified horses for the Appaloosa World Champion Show. Breeding, raising, and training our folas is a challenge I readily look forward to. While coaching the Green Mountain Appaloosa Youth Team, I taught lessons to 7 different families of children. This was tremendously rewarding, seeing these youngsters grow and blossom into great competitors. However, it had become time to have my own children and I had to reduce my outside commitments. 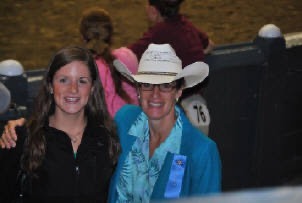 I continued to judge and train our young horses for competition or sale, but the coaching and teaching I had to give up for a while. Now that my son Austin and daughter Lindsy are older, I have more time to devote to students once again. 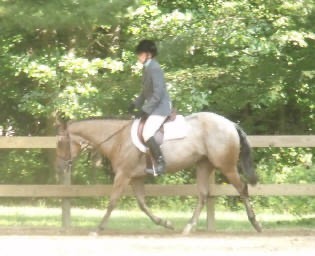 Lindsy shares my love for horse showing, and is successfully competing on her own. We spend the summers traveling the Northeast to shows, while the males in the family hit the golf courses. 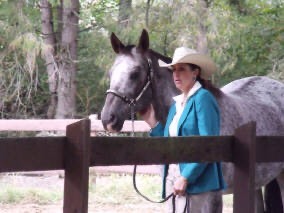 I am delighted to teach and be a part of Horse Amour, developing new generations of horsemen and horsewomen. I enjoy my role as one of the leaders of Horsepower 4-H. 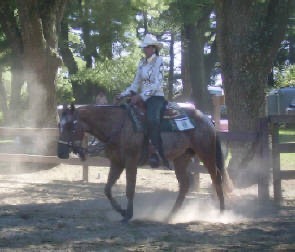 I serve on hte VT State 4H Horse council and chair contest committees. I am a meber of the State 4H Horse Show Committee and have 23+ years on the BOD for the Green Mt. Appaloosa Horse Club. I also hold seats (9+ years) on 2 School Boards. I guess you could say I enjoy helping youth in many capacities. Most importantly I have to say I have a patient, great husband. 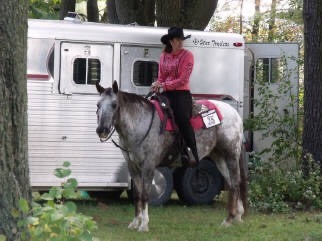 I believe it is important to set goals for yourself and your horse, and seek out who can best help you get there. Everyone has a different level of competitiveness, commitment, and enjoyment. It is important to recognize that.The friendships, associations, experiences and uncondidtional companionship that a horse provises us with, will last us our whole lives.